Today's ecommerce business owner has more options than ever when it comes to where (and how) to sell goods online. You can open a standalone ecommerce site using a number of relatively inexpensive ecommerce platforms (shopping carts), many of which now include marketing tools. Or you can set up shop on one of the many established online marketplaces, namely eBay, Amazon or Etsy. 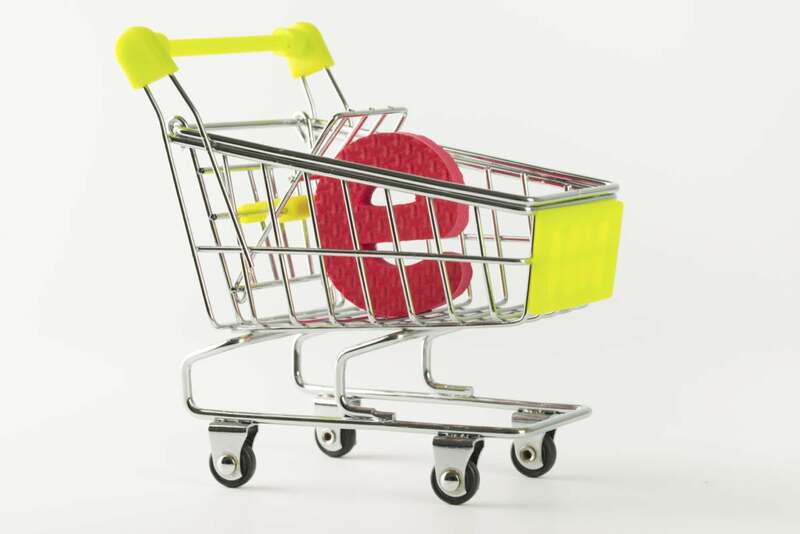 So which option -- standalone or marketplace, or both -- is best for your ecommerce business? Dozens of ecommerce business owners share a list of the major advantages and disadvantages of selling via Amazon, eBay, Etsy and/or your own ecommerce site -- and why it can make sense (as well as dollars) to have a presence on both. Huge customer base. "Amazon is one of the largest online retailers [with 244 million active members] and their users are shopping," says Carolyn Lowe, director of eCommerce, UpSpringBaby.com, the creator of health and wellness products for new moms and young children. "For a consumer goods company like UpSpring, this is ideal. It would cost us an enormous amount of marketing dollars to get the impressions and sales that we get from Amazon." Credibility and trust. "New customers may be more comfortable purchasing from Amazon [than purchasing from a website they're unfamiliar with], as Amazon is a known and trusted company," says Cassandra Droogan, founder & president, PYSIS, which makes fashionable, weatherproof overboots. Excellent back-end infrastructure and support, including tax collection and shipping. "Amazon has a great back-end infrastructure to support selling," says Will von Bernuth, cofounder, Block Island Organics. "This means everything from inventory tracking to tax collection (this can be a huge pain, particularly for states like California where taxes need to be calculated down to the zip code) to credit card processing is possible with Amazon's platform. It's all there for you. No need to figure out how to do all the setup yourself." In addition, "Amazon's FBA (Fulfillment by Amazon) service lets sellers ship their inventory to Amazon's warehouse, [where, for a fee,] Amazon then handles sales of the sellers' product, the fulfillment, returns and customer service issues," says Jordan Malik, CEO, FindSpotter. Amazon also makes it easy to ship internationally. Referrals. Another "advantage of Amazon is its built-in algorithm for recommended purchases," says Brad Hines, the founder of Happy China Trading Co., an ecommerce seller of oriental souvenirs and gifts. "Someone may visit Amazon to buy a product that you don't even sell, and your product may come up in a recommended purchase." Similarly, "Amazon affiliates will link customers to [your product] through blog posts, Facebook posts and Twitter," says Kathy Pickus, owner, Dot Girl Products, which provides products and information for girls experiencing their first period. "This relieves [you] from the headache of maintaining an affiliate program." Fees. "On Amazon, fees start at a minimum of one dollar and go up to as high as 25 percent of the item's price," says von Bernuth. And "if you decide to do Fulfillment by Amazon, where Amazon warehouses and fulfills your product, you pay a listing fee plus typically a few dollars in fulfillment fees depending on the item," adds Lowe. "I calculated our current total cost per transaction just last week through our FBA business and after adding up the seller fees, warehousing fees and other transactional costs, we pay on average 26 percent for every dollar of revenue we get from that sales channel vs. around 8 to 10 percent on average for Sewelldirect customers," says Cameron Postelwait, marketing director, Sewelldirect.com, which sells connectivity solutions. You're a commodity. On Amazon, "you're mostly a commodity and subject to someone undercutting your price," says Mike Kawula, who has sold on Amazon and eBay as well as his own site and is now a business consultant. "You're [also] competing with Amazon directly if they decide to sell your product," which can hurt your sales. No control over branding. Another disadvantage to selling on Amazon vs. your own site: "There aren't many branding options on Amazon," says von Bernuth. "The only thing you have control of is your products' photos and text description. Everything else is Amazon branded." "Customers rarely see who the end vendor is when shopping through Amazon," adds Andrew Van Noy, CEO, Warp9, a provider of Magento mobile commerce services for midsize online sellers. "This disconnects you from the customer, and therefore does not strengthen your brand." You can't capture buyers' email address or remarket to them. "Amazon does not let you capture a buyer's email," says von Bernuth. "On your own site you can set up an email newsletter and encourage customers to sign up for it." Lack of customer loyalty. "Customers are loyal to [Amazon] and not your brand," says Van Noy. So "you lose the repeat business or the ability to up sell/cross sell." Ease of use. EBay's easy-to-use selling, listing and inventory tools make it easy to sell your products on the site -- and do it quickly. Immediate access to millions of potential customers. On eBay, which has over 149 million active buyers located around the world, you have "built-in traffic and customers -- [and often get] above average conversion rates," says James Applegath, who sells on both eBay and his own site, Defunkd, a vintage t-shirt collective. Global reach. "As a global seller, we appreciate how [easy it is to] set up [shop] on global eBay sites and reach international markets," says Jimmy Vosika , founder & CEO, ShopJimmy.com, which sells TV parts and lamps, TV stands, tech tools and electronics accessories. Fees can add up. Fees on eBay can vary, depending on what you sell and how you sell it. That said, sellers typically pay 10 percent of the sale price, with a maximum fee of $250 -- though advanced listing upgrade fees add more to the cost. You may not get paid. "‘Joy' bidders, aka nonpaying bidders/buyers, are a huge problem as many listing formats don't require a payment to make a purchase," says Applegath. Favors buyers over sellers. "Over the years, eBay has made it increasingly difficult for sellers by tipping the scales of empowerment heavily in favor of buyers," he adds, citing eBay's new 180-day return policy and buyers' ability to leave negative feedback, even if the seller is not at fault. Large, targeted customer base. Etsy has over 40 million active members, who are specifically looking for hand-crafted, artisinal or vintage items, and sold over $1.35 billion in merchandise in 2013. Easy to set up shop. "Etsy makes it easy to list and advertise," says Phallin Jennings, the owner of Four Sisters Farm Soap, which also has a standalone ecommerce site. "A seller can quickly set up a storefront, payment options and generate shipping labels without any HTML or CSS stylesheet knowledge," explains Jennifer Colgan, owner, Jessie Girl Jewelry. Powerful, supportive community. "Etsy has forums and teams [that create] a sense of family amongst sellers," says Jennings. "This brings in multiple sales as well, [as Etsy sellers] love to support one another." Fees. "There are listing fees and final sale fees on Etsy as well as the PayPal processing fee," which can really add up if you list lots of items, says Nidhi Chanani, owner, Everyday Love Art, which has both a standalone site and a presence on Etsy. Little or no ability to customize or personalize your shop. "There is a limit to how much personalization a customer can do through an Etsy listing," says Colgan. Whereas on "my own website, I can make the experience much better for my customers." "All seller pages look the same, making it a little more difficult to distinguish yourself," says Ashley Rodgers, owner, Cult Paper. Lots of competition. "Since Etsy's marketplace consists of very specific categories, there's a lot of competition within them," explains Eileen Chai, co-owner, Fleet Collection, which sells vintage clothing. "Recently we've noticed an influx of overseas sellers offering custom-made gowns for prices so enticing, I'm almost tempted to buy one," she says. "Since our dresses are locally made in Los Angeles, it's hard to compete with that, especially when search results render a side-by-side comparison." Furthermore, "there are a lot of copycats on Etsy," she adds. "We've seen shops that have been strongly 'inspired' by ours, down to the listing format, description and policy page. Some shops have even duplicated our exact listing down to the product photos!" Control over branding and messaging. "The Dot Girl website includes articles and information, the company history and mission along with a product video, all of which help Dot Girl create brand awareness," explains Pickus. "This ability to include additional company information is not available on [for example] Amazon." "Having a standalone site allows you to display your branding and message however you like, via video, etc.," notes Droogan. "Especially with a new and unique product, a standalone site builds brand trust." "On my site, I also have my blog, a gallery page of new work, an about page and links to my Pinterest, Twitter, Facebook and Tumblr pages," says Rodgers. "Some (but not all) of these features are available on Etsy, but my website is easier to navigate and it looks clean and cohesive -- everything is right there." Access to customer information. "Only when the customer is your own customer do you have full access to all of his/her contact information for future communications, mailing lists, etc.," notes Droogan. Capability to run (and advertise) promotions/offer discounts. "A key advantage to selling on your own site: it's easy to implement discount rules/offers, such as Buy 2 Get 1 Free," or offer customers 10 percent off, says Daniel Rensing, founder & CEO, The Smart Baker, who previously sold on Etsy. Similarly, you can "easily add and change homepage banners/sliders [to advertise] special promotions." Lack of visibility/you're harder to find. One of the main advantages of selling via an Amazon, eBay or Etsy is that you often have a greater, or easier, chance of having your products discovered by potential customers, especially if you are a new business. You also don't typically have to pay to advertise. With a standalone ecommerce site, however, it can take months until your site or pages show up on a search engine. Even then it may be hard for customers to find you, unless you advertise, which can be expensive. Managing and marketing your own site can be time consuming and expensive. No matter how turnkey an ecommerce solution says it is, you will still need to spend a bunch of time setting it up and customizing it -- and actively managing it. Whereas on Etsy, for example, "no back-end work is needed," says Rensing. You will also need to handle marketing and fulfillment with your own ecommerce site, or pay someone to perform those functions, which can get expensive and be time consuming. Or, like many business owners, you could do both. That is, have a standalone ecommerce site and sell on Amazon, eBay or Etsy (or another marketplace). "I think it's smart for any new online seller to start off on marketplaces to learn the business and get your feet wet," says Kawula. "Afterwards I strongly believe you need to create your own website." "When we first started, we really didn't have any experience with building a website so we took a shortcut and set up an Etsy shop," says Chai. "This allowed us to generate sales and income via Etsy while we simultaneously worked on building our site," she explains. "Now, we see both platforms as playing an equally integral role: The Fleet site is home base for our loyal customers to receive updates, browse new items and take advantage of sales and promotions while the Etsy shop acquires fresh buyers that hopefully are eventually converted into Fleet site users for future orders." The bottom line: "Having your own ecommerce site allows you to have more control over your brand, products, pricing and promotions," says Vosika. But "at the end of the day, it's important to be visible wherever your customer is likely to look for your product, so I see all these channels as complimentary."